30 years ago, Asamoto, Hirukawa and Bando were high school baseball players. People referred to them as "Asa Hiru Ban". 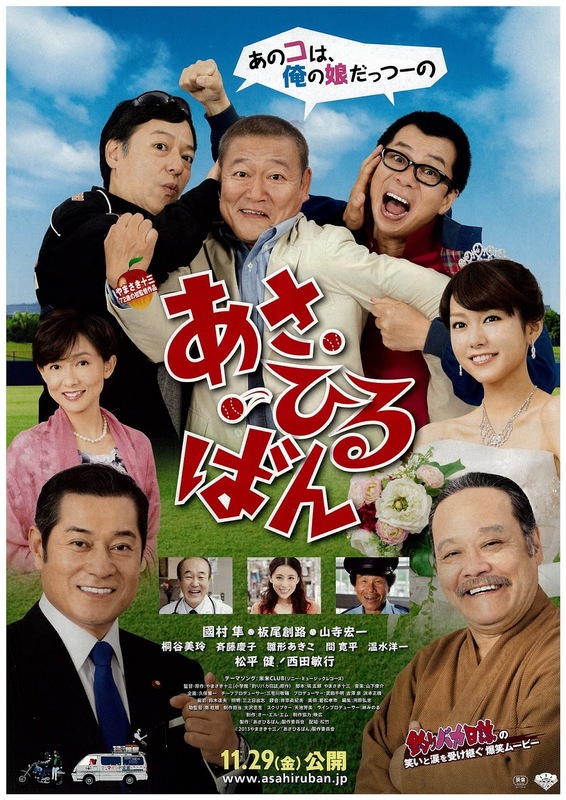 The three baseball players were in love with their manager Sachiko. Meanwhile, in the preliminaries for the National High School Baseball Championships, their team lost to a rival high school baseball team. Now, Asamoto (Jun Kunimura), Hirukawa (Itsuji Itao) and Bando (Koichi Yamadera) are all middle-aged men. They all lead their own separate lives. One day, each of the three men receive a letter from Manager Sachiko's daughter Yumiko (Mirei Kiritani). In the letter, Yumiko states that her mother Sachiko (Keiko Saito) is sick and asks "Asa Hiru Ban" to meet her. Asamoto, Hirukawa and Bando gather together in their hometown of Miyazaki for the first time in many years. Juzo Yamasaki directed his first movie "Asa Hiru Ban" at the age of 71. He is a long time manga writer (famous for manga series "Tsuribaka Nisshi") and worked as an assistant director at Toei prior to writing mangas.